Still worried about the massive egg recall? The number of recalls eggs stands at half a billion and they still don't how the eggs were contaminated. California officials have provided a list of stores and product numbers that might have been infected with the salmonella bacteria. A portion of eggs produced from May 16 to Aug. 17 by Wright County Egg have been recalled from stores in 16 states including California, where they were distributed within days of production, according to the California Department of Public Health. The above brands would have packaged eggs with the plant numbers P-1720, P-1942, P-1946 and P-1026 and a 3-digit code ranging from 136 to 229. Since May, a salmonella outbreak in several states has been linked to eggs or food containing eggs produced at Wright County Egg. The most common symptoms are diarrhea, abdominal cramps and fever eight to 72 hours of eating a contaminated product. Most infected people recover, though some may develop complications that require hospitalization. The two Iowa farms that recalled more than a half-billion eggs linked to as many as 1,300 cases of salmonella poisoning share suppliers of chickens and feed as well as ties to an Iowa business routinely cited for violating state and federal law. Food and Drug Administration investigators have yet to determine the cause of the salmonella outbreaks at Wright County Egg and Hillandale Farms. The FDA investigation could take months, and sources of contamination are often difficult to find. The company Quality Egg supplies young chickens and feed to both Wright County Egg and Hillandale Farms. The two share other suppliers, said Jewanna Porter, a spokeswoman for the egg industry, but she did not name them. 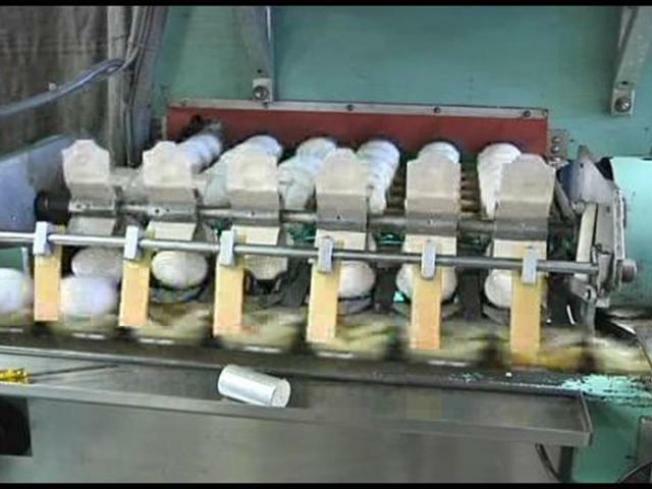 "The history of ignoring the law makes the sickening of 1,300 and the forced recall of 550 million eggs shockingly understandable," Marler said in an e-mail to The Associated Press. "You have to wonder where the USDA and FDA inspectors were." "It was kept secret for 74 years and my theory is that this rolls back the cover on a cruel, tragic and unjust time in America for women," Medford told The Times. "Ending pregnancies this way would have been commonplace. This was business as usual in all social strata."